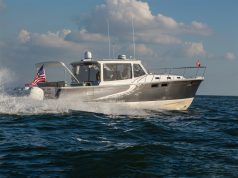 The Hinckley Picnic Boat 40 brings a fresh perspective on the most successful Hinckley series ever built. Inside, the completely reimagined layout features seamless flow from transom to helm, plentiful lounging space, a wet bar, and full sun coverage by Sureshade. Visibility is unsurpassed. Below deck, the interior converts from cruising to a day-boating layout. 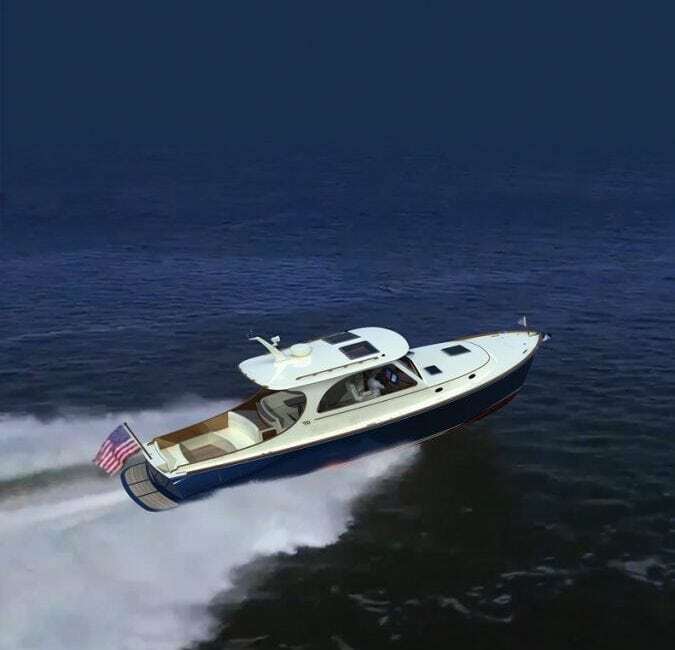 Jet propulsion via twin Cummins 480-hp engines provides a top speed of 34 knots. Her jets are safer for families and for sea life. 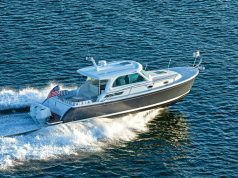 The new Hinckley Picnic Boat 40 sports all-new TriGuard Epoxy Construction which uses Aramid fiber/E-glass for a durable outer skin paired with lightweight carbon fiber for the inner skin. 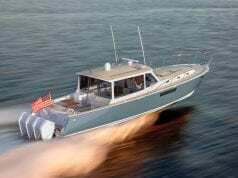 OR Return to the Downeast Boats Roundup.